It’s pretty much guaranteed that throughout your revision and getting prepared for your exams, you’re going to get distracted. Because, let’s face it… Exams aren’t fun. However, we have a few apps for your phone that will help you with your lifestyle and also provide incentives for staying focused and avoiding the distraction of your phone and therefore making you better prepared for those pesky exams. Without any further ado, let’s see what these apps are. You can plant a seed in Forest and you set a time for that seed to grow into a tree. 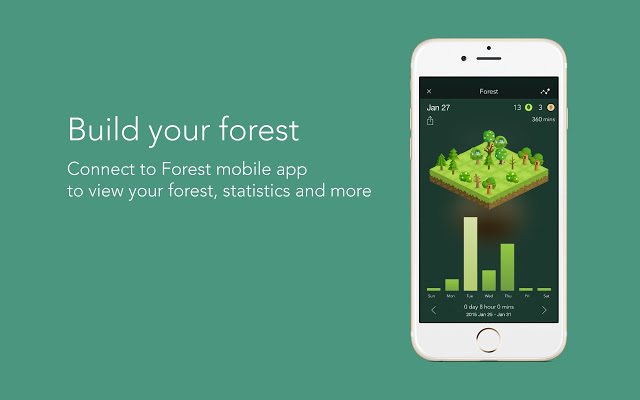 If you can’t resist the temptation to leave the app to check your Facebook or play a game, your tree will wither away. Stay focused and your seed will turn into a fully grown tree and add one tree to your virtual forest. It’s a nice way to have a display of the progress you’ve made with your focused time throughout your revision. This app is available on both iOS and Android devices. On Android it is free however, on iOS it costs £1.99, so a no-brainer for Android users but still not a massive expense for iPhone users. My Water helps you drink water regularly, calculate your intake and gives you notifications when you need to drink more stay properly hydrated. Hydration has a major effect on energy levels and brain function. Water is essential to good health and drinking a glass can make our brains 14% faster. 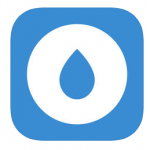 This app can help ensure you drink enough fluids. This app is available on both iOS and Android and is absolutely free! So there is no reason to not be hydrated and keep your body and your brain working at its best. Colouring isn’t just for children. Colouring generates wellness, quietness and also stimulates brain areas related to motor skills, the senses and creativity. You may not think it but colouring really helps with your mental health. In fact, focusing in finding the right colour for the picture can really help with depression. Paint your own drawings – Use the camera to take a picture of your own drawing on paper and then give it the colour it deserves. 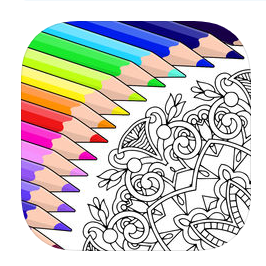 Colorfy is available on both iOS and Android for free so make sure to break up your revision sessions with some down time doing some colouring. 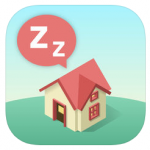 From the same developers that made ‘Forest’ at the top of the list, ‘Sleep Town’ is an app where you construct amazing buildings just by achieving your bedtime and wake-up goals every day. Try it tonight. Put down your phone before going to bed and build your very own Sleep Town while you sleep. It’s designed to encourage a healthy, regular cycle of sleep with this virtual reward and way of recognising the good impact your sleep is having on you. It’s also a good way of conditioning your brain to work better at the times your exams will be. For example, if you know it takes about 4 hours from waking up with 8 hours sleep for you to be at your peak and your exam is at 10am, try using this app to set your wake up time to be 6am and be asleep by 10pm the night before. Then repeat these steps to achieve a regular sleeping schedule and also have a much livelier Sleep Town! This is available on both iOS and Android. Whilst it is free on Android, it is £1.99 for iOS. But either way, it is worth having to encourage a steadier sleeping cycle. Thank you to Denise Labajo, Study Skills and E-Learning Support Services at South Devon College, for the support with this article.